Athens, Tenn. – (September 2017) – Heil Trailer recently unveiled its newest engineering enhancements to the industry’s leading dry bulk trailer design. 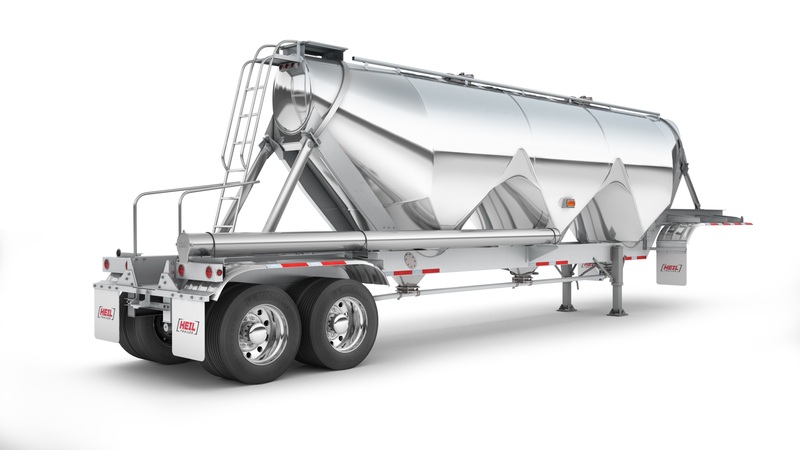 The 1611 Super Jet Dry Bulk trailer is a long-proven design in dry bulk efficiency, cleanliness and ease of use for food and sanitary applications. For model year 2019, the company announced substantial upgrades and engineering innovations to the model, making it the lightest food-grade clean bore dry bulk trailer in the industry. The strut-framed, aerodynamic design of the 1611 Super Jet has long been representative of the company’s commitment to industry leadership in dry bulk. Heil Trailer was the first manufacturer to produce a dry-bulk trailer of this size without the need for internal rings. This ring-less clean bore design promotes complete clean-out and eliminates areas for bacteria to form, promoting the utmost in cleanliness for critical sanitary and food applications. This new model will be displayed at the National Tank Truck Carrier (NTTC) Tank TruckWeek, October 10-12, 2017, in New Orleans. For more information about Heil Trailer, visit heiltrailer.com. About Heil Trailer International, Co. Established in 1901, Heil Trailer International, Co. is the leading brand of durable tank trailers and is known for the enduring performance of its products, industry-leading support and solutions-driven customer service. 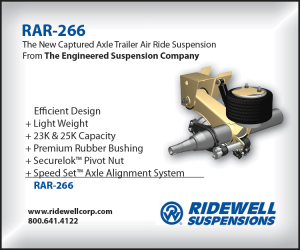 A manufacturer of liquid, dry bulk, oilfield, construction, platform, specialized, towing and defense trailers, Heil Trailer designs its products to meet the most stringent region- and load-specific requirements in 85 countries around the globe. Heil Trailer International, Co. is owned by American Industrial Partners, an operationally oriented middle-market private equity firm that makes control investments in North American-based industrial businesses serving domestic and global markets. Heil Trailer International, Co., Kalyn Siebert and SERVA are part of EnTrans International, LLC, a leading manufacturer of tank trailers, oilfield capital equipment and related components used in the oil & gas industry. Heil Trailer International, Co. is headquartered in Athens, Tennessee. For more information about Heil Trailer, visit www.heiltrailer.com.